Tokusatsu or “Special Effects Filming” is probably one of the most misunderstood genres in the west – assuming enough people are even aware of it to misunderstand it. We’re all familiar with the “Is that Power Rangers?” enquiry and, while it doesn’t bother me as much as it does others, it highlights an interesting disparity between toku in the East and toku in the West. In the West, tokusatsu is only ever Power Rangers and Godzilla… maybe Ultraman, but that’s pretty much it, and it always carries with it the connotations of being campy, cheese or for younger audiences. In the East, however, there is a much greater selection of tones, genres and demographic appeal and it’s not just limited to Super Sentai or Godzilla. For example, Garo, which is most certainly aimed at adult audiences, is classed as tokusatsu but has a much darker and serious tone than something like Robotack. This is the case even within the same series, for example Ultraseven is a lot darker and serious than Ultraman Taro, for example. 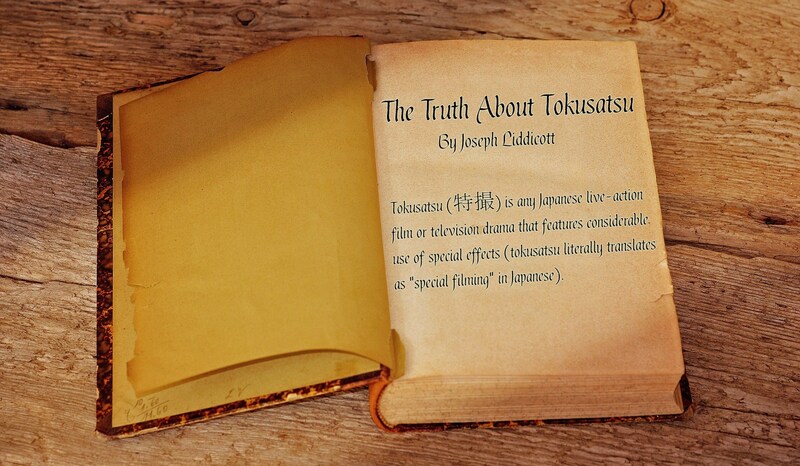 Another factor in this cultural misunderstanding is that the meaning of the word Tokusatsu has different connotations in the East than it does in the West. Over here, we tend to think toku as being only a select few TV shows and movies, however, in Japan, it’s a much more inclusive term (e.g. Doctor Who, Thunderbirds and Star Wars are all considered tokusatsu). It would be like if we considered a sci-fi film to only be something like 2001: A Space Odyssey, ignoring films like Star Wars and Arrival altogether. Since Tokusatsu is such a misunderstood genre, that also means that more people enjoy it than realise it, and why wouldn’t they? We all love a good explosion, well done practical effect or nicely choreographed fight scene. So, we must be kind when people ask if Ultraman is like Power Rangers because, chances are, outside of those few shows they like special effects just as much as you do. What tokusatsu do you enjoy? Share your likes with us in the comment section below!